Any good knitter knows “handmade=handwash”. And while we try to tell the recipients to do that, it’s still hard for them to remember. Which is why these individual packets are perfect to add with your gifts! The little packets include nifty instructions on the back to wash your delicates. Personally, I LOVE taking these with me on trips. They are so easy and convenient to use. They’re good on your unmentionables or favorite blouse that gets dirty. I’ve also used them on my kids’ favorite stuffed animals. Perfect to just let it soak for 15-20 minutes, squeeze out the extra water and hang to dry or lay flat. 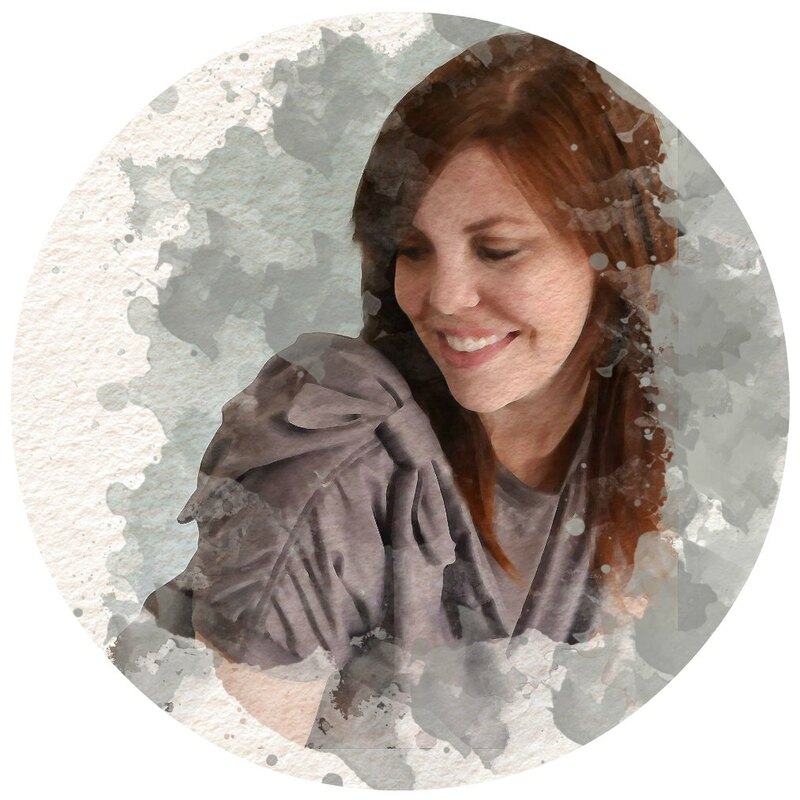 Next, add your items you want to wash…I washed my sleep mask and a new pair of booties that I finished. After it sits for about 15 minutes, drain the sink and carefully squeeze out the water (don’t wring it out). Lay flat to dry! 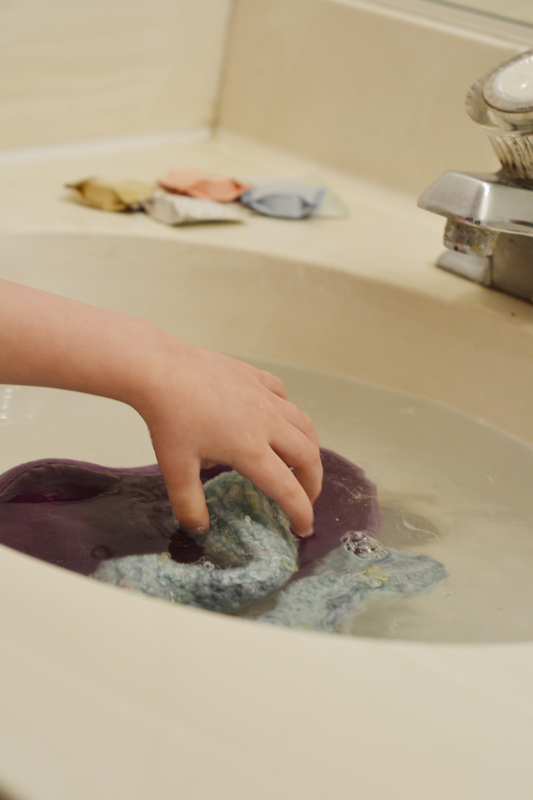 In my experience, most things are dry in a day or two…you can get it to dry faster but sandwiching it between two towels and pressing the water out, then lay it on a dry towel to finish drying! You’ll be surprised how much dirt comes out with the gentle wash. It also has a lovely smell and feel to it, not like when you use a regular detergent (if you try to hand wash with it), which leaves a starchy feel on your items. 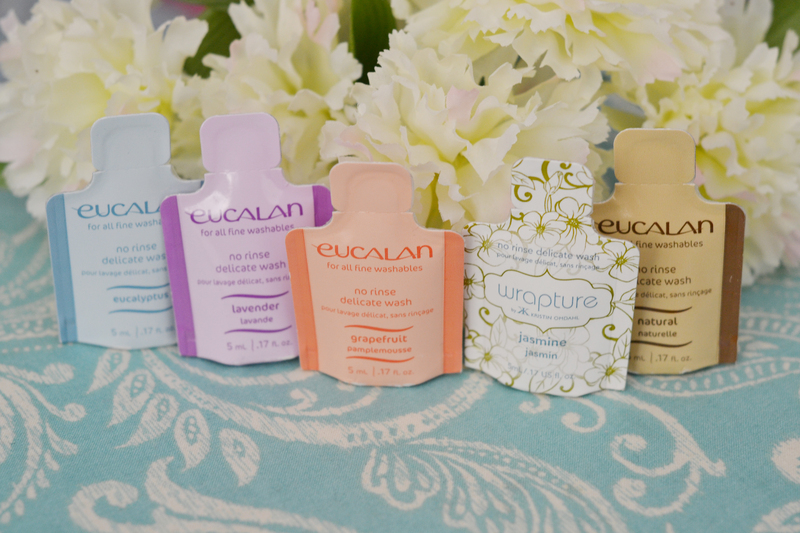 If you haven’t tried Eucalan wash, you need to. I also tried the wipes. While I was cooking dinner some spaghetti sauce splattered on me. Ahhh! I ran and got a wipe and starting cleaning up the red sauce. And then I let it air dry for a few minutes and you can barely tell it was there. YAY! My shirt was saved!! I ran it through a wash later with other laundry and you would never have known where the spot was. I think grapefruit and jasmine smell divine too!